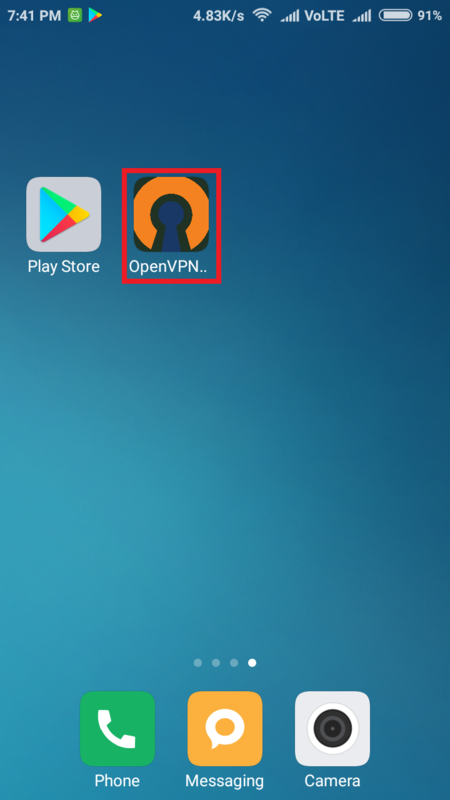 Downloading and installing OpenVPN Connect application. 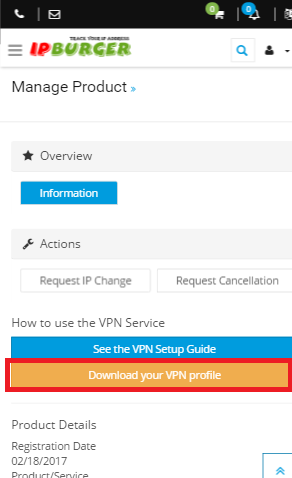 Importing VPN profile and connecting to the VPN. 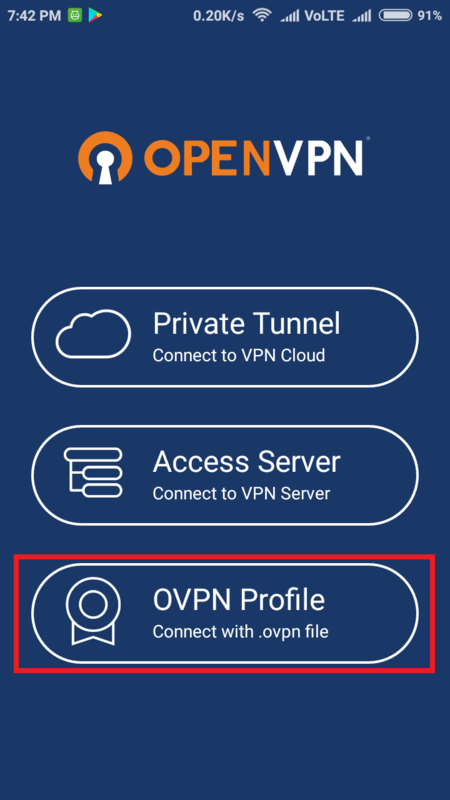 1) Download and install OpenVPN Connect application. 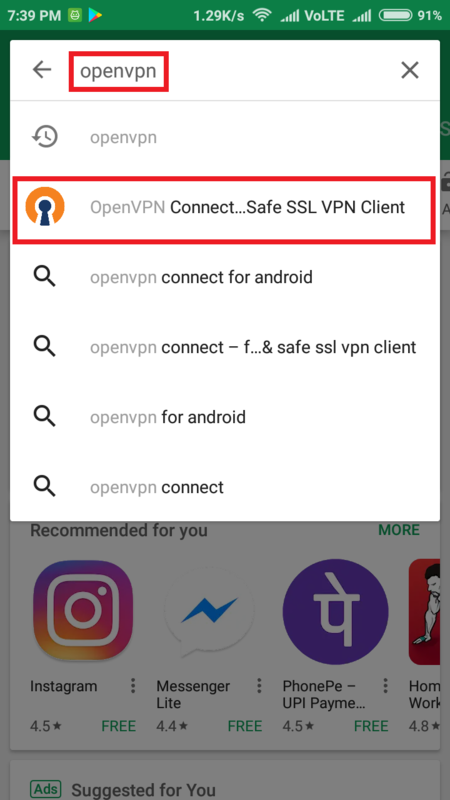 Now search for OpenVPN Connect and select it from suggestions. Now, click on the ‘Install’ button. This may ask for a few permissions, click on ‘Accept’ and it will start the installation process. Great! You have successfully installed the OpenVPN software. 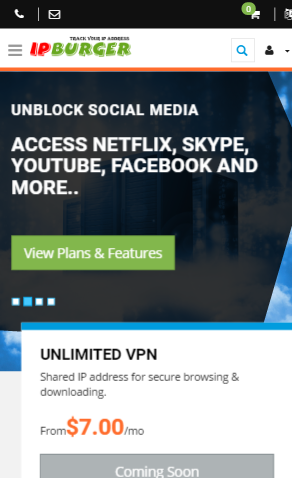 Using this software in combination with the VPN profile that we downloaded in the first step, we will connect with IPBurger. Wola! 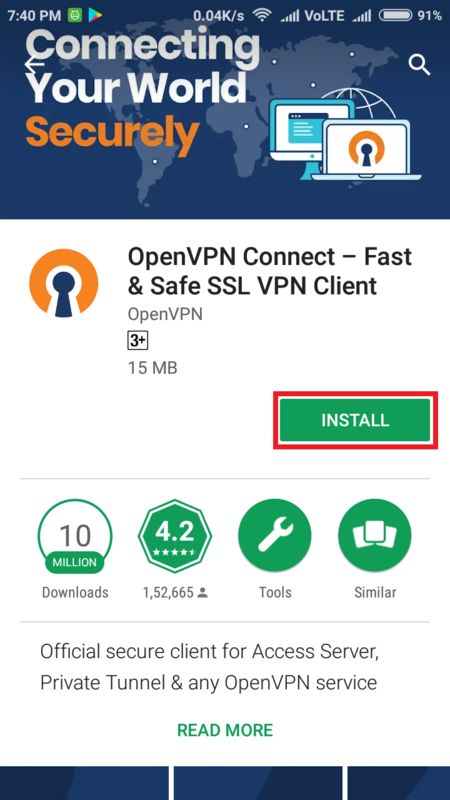 You are done with the first step to download and install OpenVPN. Now, let’s take a look at how to download the profile and import it into the application. 2) Downloading your IP profile. Open https://secure.ipburger.com from your mobile browser. Click on the human-like icon on the top-right corner of the website and then click on ‘Login’. Enter your credentials and click on the ‘Login’ button. 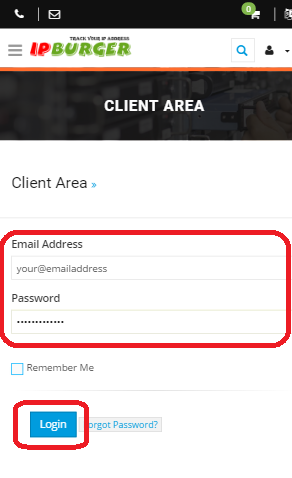 You will be redirected to the ‘Client Area’. Here you can see your purchased services, quotes and tickets. 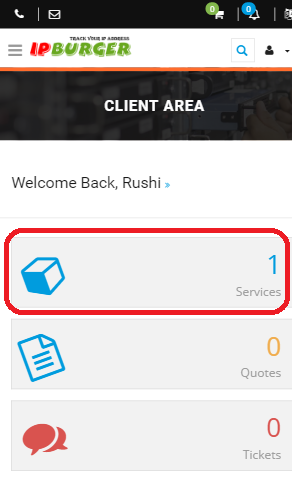 Click on the ‘Services’ box. This will list all the services that you have purchased from IPBurger. 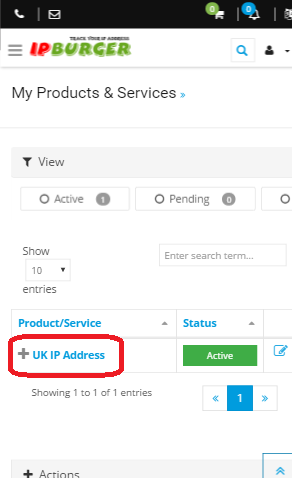 Click on the IP Address that you need to use. 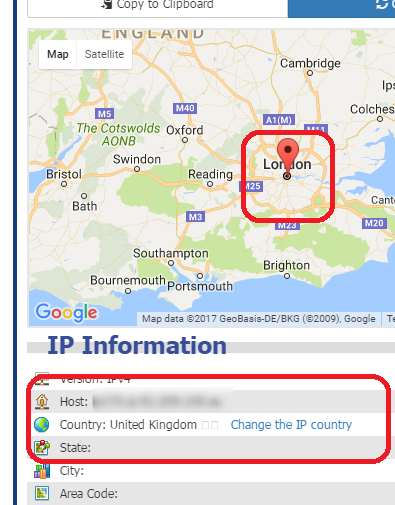 Here in the below screenshot, we have UK IP Address. 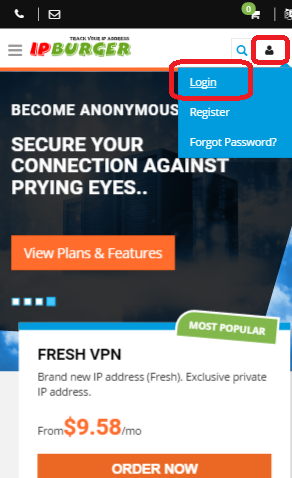 Now, click on the ‘Download your VPN profile’ button. 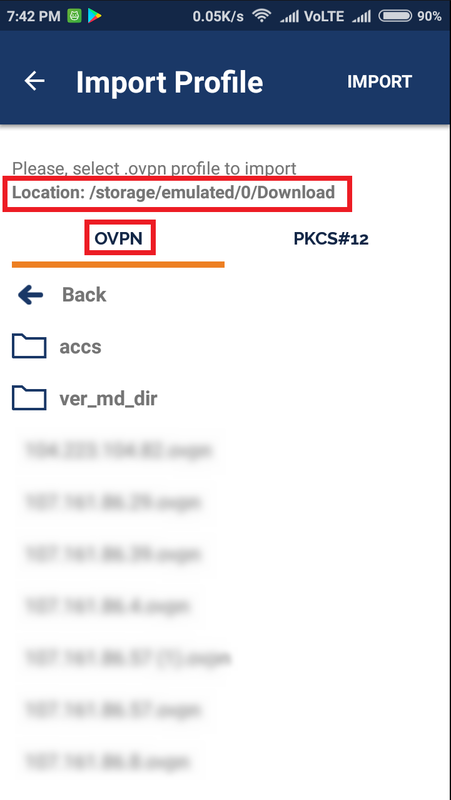 This will start a file download with the name [assigned-ip].ovpn. Once the app opens, click on the third item i.e. 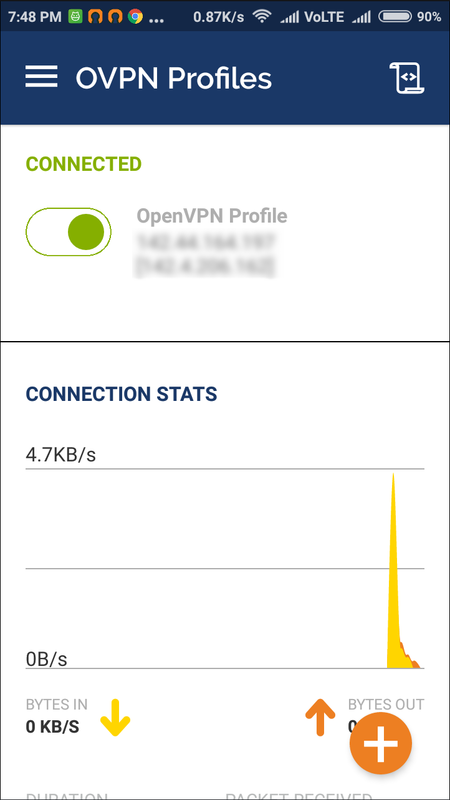 OVPN profile. Navigate to your Downloads folder and it will show up all the profiles you have downloaded. Select the prfoile you wish to import and click on the 'Import' button at the top left corner of the screen. Once, the profile is imported, you can see it on the app's home screen. 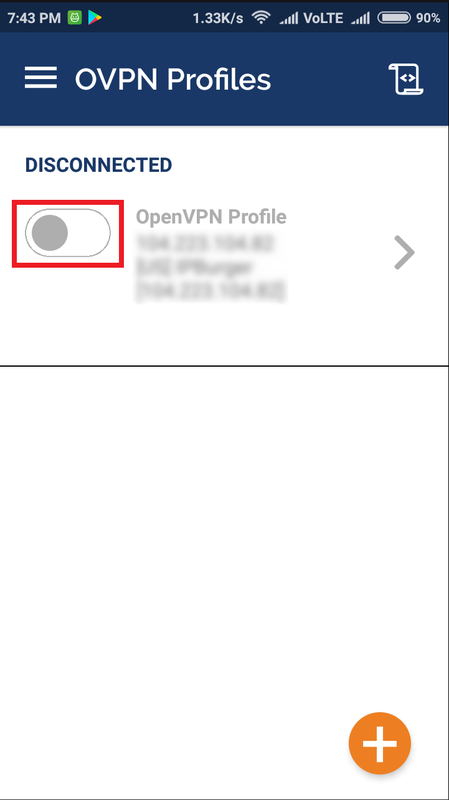 Click on the button highlighted in the screenshot to connect to the VPN. Once connected, you can see the connection stats as shown below. 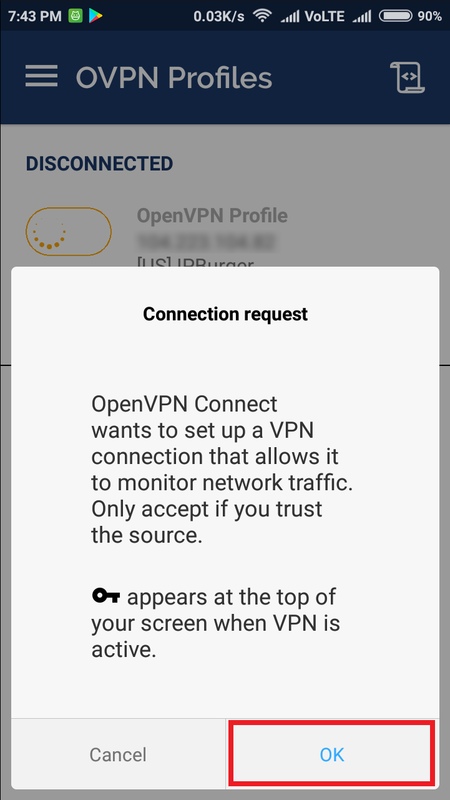 To confirm the VPN connection, visit ipburger.com on your browser.